Today, we’re taking you to the subtropical South Carolina for Gini and Peter’s wedding, which left us totally speechless, and we know you are in for a visual feast with this one! 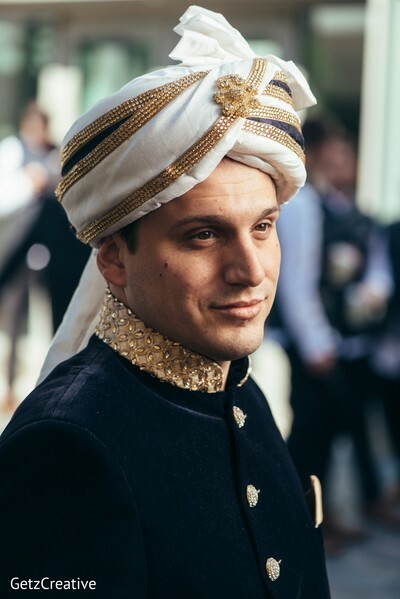 Everything about this wedding was synonymous with elegance, and Getz Creative Photography had us swooning over the photos, especially the portraits and the first look! 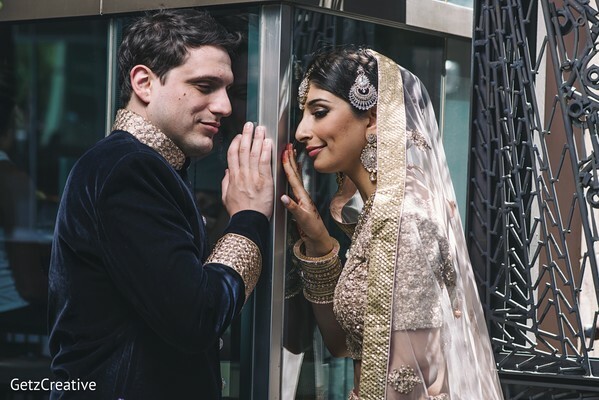 We loved seeing these detailed shots of the gorgeous couple because their ensembles were simply out of the world! 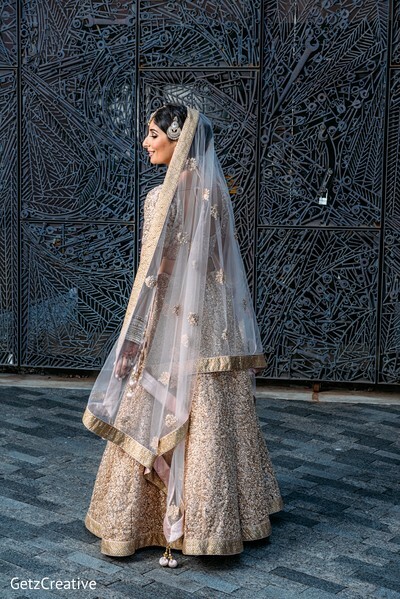 Maharani Gini looked so exquisite in an embellished beige-gold sequin lehenga from Mehar, and the monochrome factor made it all the more chic. 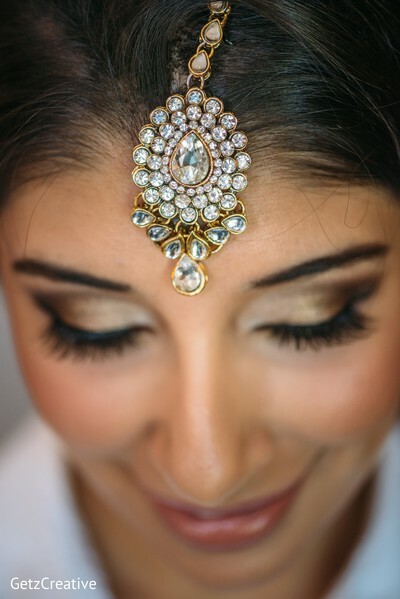 The lankans added pink undertones to her outfit, and heavy statement Kundan jewelry were perfect accompaniments to her trousseau. Cotton Rouge was spot-on with the hair and makeup - a lovely, dewy glow with hints of coral, a bronze smokey eye, and a sleek yet relaxed bun. 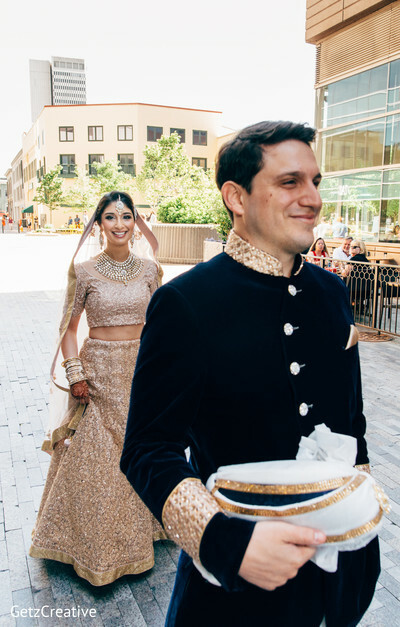 Peter donned a velvet asymmetrical Bandhgala that had gold embroidered accents on the collar and cuffs - loved how it contrasted with Gini’s outfit, but also matched it so very subtly. 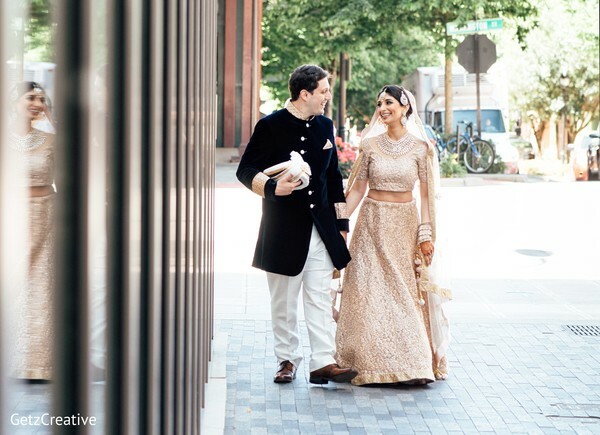 This couple definitely looked runway-ready for their ceremony at Hyatt Regency Greenville, where Aayojan took our breaths away with their floral and decor work! 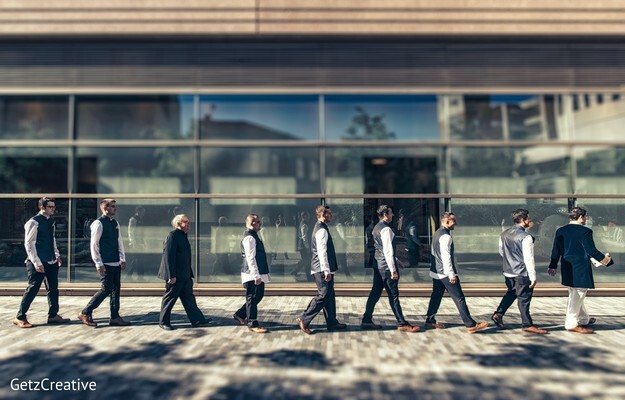 Getz Creative Photography did some stunning staged portraits, like the one where the groom’s squad posed like the Beatles, and beautiful candid shots of the couple both outdoors and indoors. Definitely a ton of inspiration in the gallery for your next photo shoot, so be sure to check it out! 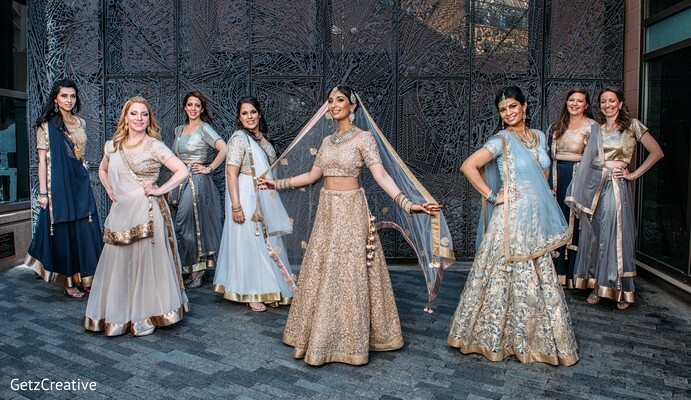 Crystal Williams Events planned this spectacle at Hyatt Regency Greenville and we can’t wait to share all the details with you in the next post so do come back!